Four years on from their tumultuous self-titled debut album, multi-national combo Mumpbeak reappear with this album of shifting moods and confounded expectations. Unlike on that first album, there is no impressive list of guest players this time round, as the band are now a stable trio. 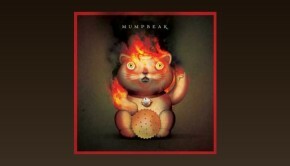 Mumpbeak are led by U.K. ex-pat keyboardist and composer Roy Powell, whose CV most notably includes the avant jazz-prog outfit Naked Truth, and along with his long-time musical companion and fellow Naked Truth member bass player Lorenzo Feliciati, Mumpbeak are now completed with the addition of a Norwegian powerhouse on the drums by the name of Torstein Lofthus. The drums on the debut were contributed by Pat Mastelotto and following him is no easy task, but Torstein’s pulls it off with aplomb, his whirlwind and muscular style taking the band in a heavier direction. The Norwegian’s influence is seen from the off, with a syncopated opening on Boot from all three band members that comes across as a jazz-rock Led Zeppelin. The tune that arises from the intro is a more laid-back affair, featuring some masterful bass playing from Lorenzo. The album never sits in one place too long, and in so doing neatly sidesteps its easy categorization. The rising and falling scales of Brick invoke a languid air until Torstein’s intermittent hard-hitting tub thumping jolt one out of reverie. More wonderfully intricate work from Lorenzo, this time on a fretless bass is another highlight, along with Powell exploring the scales on the clavinet. Saw’s riotous wah fuzz funk, driven by Torstein’s thunderous tom toms, sees Roy fly off into the stratosphere in the manner of Miles Davis during his most furious electric phase. Stately grandeur through repetition and undulating atmospherics change the mood for the duration of Slip, a surprising use of ambient techniques that are revisited from a different, more spacious and Kosmische perspective on Caboose. This nine minute mini epic ventures on into pure fusion territory, highlighting that Torstein is more than capable of subtlety when required, although he later unleashes a dexterous but loud solo. Between those two we have the Crimsoid Gordian knot of Cot, underpinned by the Norwegian sticksman’s more familiar life threatening drumming. Three minutes into album closer Stone sees Roy Powell change to the Hammond organ for a way down and dirty free jazz freakout, the last four minutes becoming the wildest on the record that gets looser as it progresses from its quiet beginnings into a maelstrom of wanton excess, all three band members giving it their best shot at 200 mph. Luvvly! 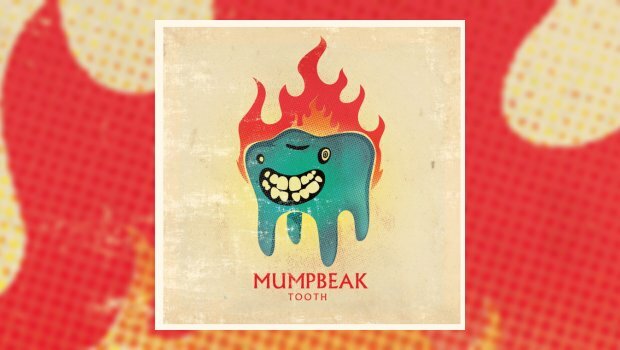 Needless to say, Tooth by Mumpbeak is certainly not prog, but it ticks more than a few boxes on the progressive checklist. Check it out! P.S. – I have no idea what a “Moog Little Phatty” is, but it sure must be funky!